The HappyFeet League is on weekends. It is offered to preschool-aged children as young as two years old. The kids are grouped into teams with friends and others similar in age. Our 8-week leagues provide the perfect opportunity to learn and practice skills in a game setting. 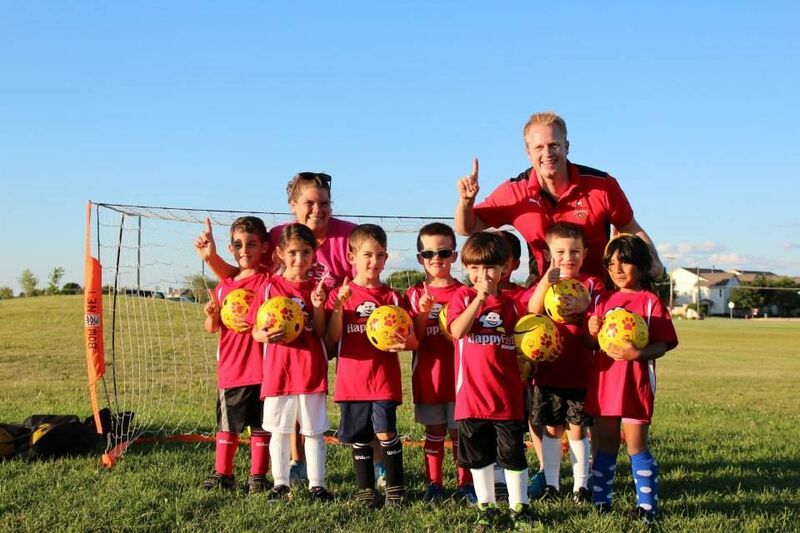 For one hour each weekend, our professional coaches work the field with your kiddos as family members cheer from the sidelines. 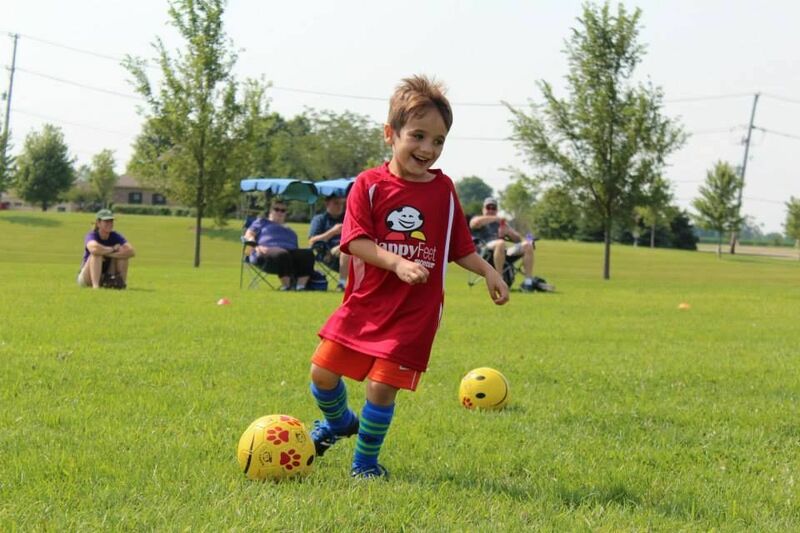 Leagues consist of a 30-minute HappyFeet class followed by a 30-minute, non-competitive game (15-minute Parent Stay-and-Play replaces the game for two year olds). Form a team with friends or let us set up one for you. This is the perfect way to make team play great fun and introduce kids to organized team sports. HappyFeet kids have a blast because they’re familiar with their coach, the HappyFeet approach, and their friends from home and school!